Williams star has been on the rise for many years, having first garnered attention in Christchurch alt-folk band The Unfaithful Ways, before partnering with first Delaney Davidson and then Tami Neilson (both former Silver Scroll nominees) on two collaborative records. Conrad Wedde, Lukasz Buda, and Samuel Scott, who are best known for their work in The Phoenix Foundation, received the APRA Best Original Music in a Series Award for their nuanced and beautiful soundtrack for Australian TV series Cleverman, a futuristic drama with roots in Aboriginal mythology. 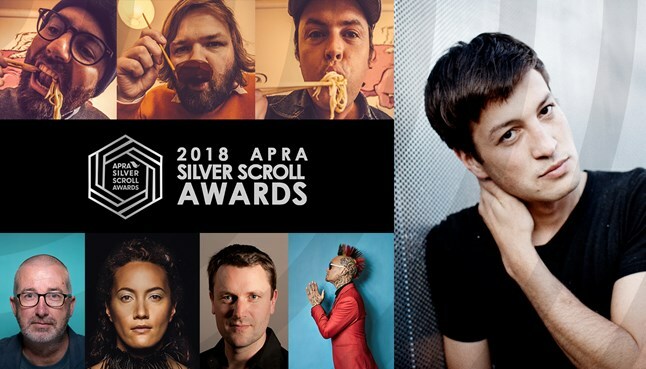 Local luminary David Long (The Muttonbirds, Teeth) won the APRA Best Original Music in a Feature Film Awardfor his dramatic score for McLaren - the acclaimed documentary about NZ racing driver Bruce McLaren. The awards are proudly supported by Hallertau Brewery, Soho Wines, and NZ On Air.